There's no substitute for Homemade Whipped Cream, which tastes far superior than what you can buy at the store. It comes together really quickly and makes your baked goods, pies, and ice cream sundaes taste so much better. Whipped cream is arguably the world’s best dessert topper. It makes rich desserts feel light, fruit desserts feel rich, and hot cocoa feel extra special. I have a soft spot in my heart for whipped cream. When my kids were toddlers, I told them I had magical powers. I would pour liquid heavy cream into a cold bowl and whisk vigorously by hand until suddenly their mother’s secret power was revealed—I can transform “milk” into sweetened whipped cream perfect for topping strawberries. It’s one of my many superpowers as mom. You don’t have to be mom, however, to make lovely creamy whipped topping at home. Just follow a few simple steps and you too can wow the masses (or all the 2-year-olds) with your skills. Heavy whipping cream will double in volume and it splatters a bit while you whisk it. The bowl needs to be large enough to accommodate the increase in size. When cream is too warm the fat loses its ability to stabilize the air you’re whipping into it. It will still whip up, but not to the volume and texture you want it to, and it will likely deflate more quickly. So put the bowl and whisk in the freezer for 20 minutes before you want to whisk the cream. Keep the heavy cream in the refrigerator until you want to whip it up. Half-and-Half and whole milk don’t have enough fat to whip. Note: Heavy cream and whipping cream are the same thing and can be used interchangeably! Looking for a vegan alternative? Try making Coconut Whipped Cream! Add the sugar when the cream is thickened, but still spoonable—just before the soft peak stage. If you add it too soon, it won’t whip as well. If you add it too late, the sugar granules won’t dissolve as well. First, the smaller particles dissolve faster in the cream. Second, the cornstarch in powdered sugar helps to stabilize the whipped cream, allowing it to hold its shape for longer and reduce weeping. Whipped cream goes from soft peaks to firm peaks to butter in the blink of an eye. For this reason, I usually whisk the cream by hand or use a hand mixer. I never use a stand mixer to make whipped cream because it’s easy to get distracted and walk away from the mixer (which I have done) then I end up with butter. The rule of thumb here is to stay nearby and watch for changes. Once whipped cream is over whipped there is no saving it. It will look dry, crumbly and unappetizing. Personally, I prefer loose and droopy whipped cream most of the time, so I generally stop at the soft peak stage, but you can make your whipped cream as soft or as firm as you like it. Add the extract or flavoring during the last minute of whipping—if you add it too soon, it will deflate the whipped cream a little bit. You can flavor whipped cream with almost anything. Add spices like cinnamon or pumpkin pie spice. Make a grown-up version with a kick from rum or whiskey, fold in pumpkin puree to give it color, flavor and body. You can also warm the cream gently on the stovetop with herbs and spices to infuse it with flavor, then chill it in the refrigerator before whipping. HOW LONG WILL WHIPPED CREAM KEEP? Whipped cream can be made and kept for a day or two in the refrigerator. It will decrease in volume over time, but you can just whip it again. No worries. If it’s really hot outside or if you want to pipe it, you need the whipped cream to be sturdy and long lasting at room temperature. To do this, you need to add a stabilizer. This can be done by adding liquified gelatin, cream cheese, or mascarpone cheese to the heavy cream after it’s been whipped to soft peaks and the sugar has been added. If using gelatin, use a 1:3 ratio of granulated gelatin to water. Place 1 teaspoon of gelatin granules in a small bowl. Add 3 teaspoons of water. Stir to combine and microwave in 5 second burst, stirring each time, until the gelatin has dissolved. Let it cool, but not set. Whip 1 cup of heavy cream to soft peaks, add the sugar and continue whisking then slowing pour in the gelatin. If using cream cheese or mascarpone, replace the gelatin with 1/2 cup of either cheese. If you have over whipped it, you can undo what you’ve done — but don’t throw it away! Continue whipping it until the solids separate. You will end up with buttermilk and butter. Transfer the butter to a glass jar and store it in your fridge for a week. You can use it just as you’d use any butter or buttermilk. Recipes that could use some WHIPPED CREAM! 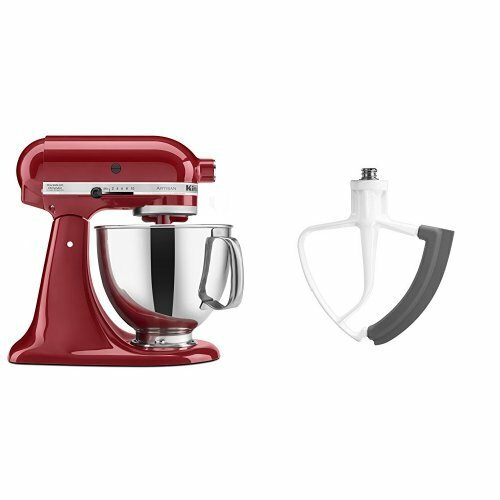 You can whisk by hand, using a hand mixer, or using a stand mixer. If you make whipped cream using a stand mixer, be very careful of over-whipping. 1 Chill the equipment: Place bowl and whisk in a freezer for 20 minutes prior to whipping. 2 Begin whipping the cream: Pour cold heavy whipped cream in the cold bowl. Commence whipping, starting at low speed and gradually increasing to high speed. 3 Add the sugar: Once the cream has thickened, but is not quite to soft peak stage, add the sugar. Continue whipping. 4 Add flavoring: Continue whipping until the cream is just about as soft or as stiff as you want it, then add the vanilla extract (or any other flavorings you'd like to add). 5 Use or store: Whipped cream is best if used right away. If you need to save it, store it in an airtight container in the refrigerator; you may need to re-whip slightly just before serving. Hello! All photos and content are copyright protected. Please do not use our photos without prior written permission. If you wish to republish this recipe, please rewrite the recipe in your own unique words and link back to How to Make Whipped Cream on Simply Recipes. Thank you! My house has only two people, so I never want to make massive quantities of whipped cream. I put the cream in a lidded jar and shake it until it’s whipped. The sound it makes will change as you shake it. Hi, Ab! What a great tip! Thanks for sharing! Hi Summer. I realise (or realize, if you prefer) that this us a US website, but many of us around the world use it. You might like to know that here in the UK, we have Double Cream (which is pretty much the same, I think, as your Heavy Cream), Single Cream (which is just a bit richer than your half-and-half, and whipping cream, which is between the two. It is fatty enough to whip up, but It most definitely is not the same as Double Cream . Hi, Steve! Thanks for the great comment. I LOVE discussions like these. I have a question for you: When you make whipped cream like I describe in this post do you use double cream or whipping cream? Is there a preference for one or the other or do you just use whatever you have on hand? Thanks again for explaining the differences.